The temperatures are starting to fall and soon it will be time to start your winter skincare routine. Even in sunny Arizona, cooler temperatures can impact your skin. For many, the winter season brings dry, irritated skin that can cause redness and flakiness. Because of these complications, many of our patients come to us and ask what products they can use for relief. 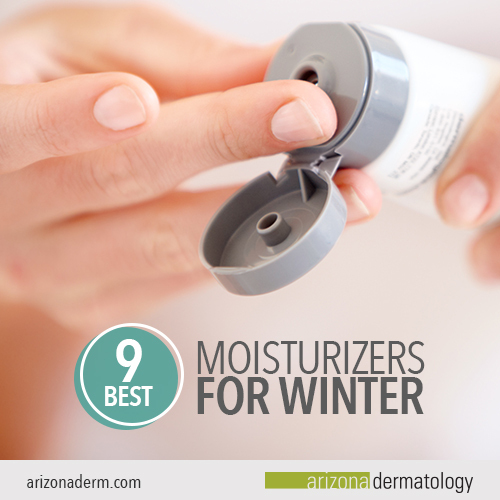 As experts in dermatology, we’ve put together a list of the nine best moisturizers you can use to protect your skin from any sort of winter damage. Vanicream’s Moisturizing Skin Cream is non-greasy and spreads easily, giving dry skin the long-lasting moisture it needs. The gentle formula is ideal for red, sensitive, and irritated winter skin because it doesn’t include any potentially irritating ingredients, fragrances, or dyes. At Arizona Dermatology, we often recommend Vanicream’s products due to their gentle, yet powerful, formulas that are accessible for all skin types. Specially formulated to soothe skin that’s chronically dry and irritated, Cetaphil’s Moisturizing Lotion provides long-lasting hydration without irritating sensitive skin. This moisturizer is non-greasy and lightweight enough to be used multiple times a day. For an intense burst of moisture, CeraVe’s Skin Renewing Night Cream uses hyaluronic acid and ceramides to refresh the look of dry, dull, and tired skin. Despite the name, this moisturizer can be used day and night to improve skin elasticity and texture. Eucerin is one of the brands most often recommended by our dermatologists because of their commitment to providing quality products at affordable prices. Their Moisturizing Face Lotion has a matte formula with occlusive ingredients that helps seal moisture in the skin. As a bonus, this moisturizer provides broad-spectrum SPF 30 coverage. Aquaphor Healing Ointment is uniquely formulated to restore your skin to its healthiest state. This multi-purpose ointment protects and soothes dry skin, chapped lips, cracked hands or feet, and other common skin irritations. Aquaphor Healing Ointment can be used as a standalone moisturizer, or applied on top of another moisturizer to enhance its effects. With a gel-like texture and an oil free formula, Neutrogena’s Hydro Boost Water Gel is perfect for oily or acne prone skin types. Its main ingredient, hyaluronic acid, gives skin a burst of hydration without clogging pores or increasing oil production. Kiehl’s Ultra Facial Cream is one of the most popular products from this natural skincare brand. It provides continuous moisture for dry skin, even in severe weather conditions, by drawing moisture from the air into the skin with the help of humectant ingredients. Origins is a brand committed to using natural ingredients in their products, and their Make a Difference Plus moisturizer is no exception. With the help of Rose of Jericho as well as lychee and watermelon, this cream repairs the skin to reverse signs of damage and prevent future damage from occurring. Clinique’s Moisture Surge Intense skin cream instantly rehydrates skin and can repair its moisture barrier over time with consistent use. This results in healthier skin overall and makes dryness less likely to return. This moisturizer has an oil-free formula and won’t irritate acne-prone skin. If you’re interested in trying any of our recommended moisturizers, but aren’t sure which one would work best for your skin, there are several key categories of ingredients that you should look for. These ingredients work to moisturize your skin effectively and prevent further damage. Many products will list these ingredients on their label, or in their online product description. While it’s not necessary to look for a product that contains all these ingredients, it’s important to understand what each one does and how it can help your skin. Ceramides are lipids that naturally occur in high concentrations on the outer layers of skin. Ceramides hold skin cells together and form a protective layer that keeps moisture from escaping. This helps the skin maintain a plump and healthy appearance. As we age, the ceramide levels in our skin naturally decline. Ceramides can also be lost through exposure to harsh environmental factors such as heavy winds and air pollution. Moisturizers that contain ceramides can restore healthy levels and keep your skin thoroughly hydrated. Humectants are molecules that attract water into skin cells from the surrounding environment, causing them to swell slightly. This makes the skin appear smoother and healthier. Humectants are important for replenishing your skin with the moisture it loses throughout the day. Occlusive ingredients form a physical barrier on the skin, preventing moisture from being lost. The rich texture and oily base of occlusive ingredients enable them to protect the skin from damage that results from the cold and dry winter air. Even if your moisturizer doesn’t contain these ingredients, you can get the benefits by applying a thin layer of a petrolatum-based products, such as Vaseline, to your face after you apply your moisturizer. This will help your moisturizer work more effectively by preventing any moisture loss. Hyaluronic acid is a naturally occurring substance that can help maintain the skin’s moisture and elasticity when used topically. Hyaluronic acid forms a moisture barrier on the skin, which helps it to look and feel better. This moisture barrier also prevents dry skin by keeping moisture from evaporating or leaving the skin. The watery consistency of hyaluronic acid means that it is easily absorbed by the skin and can be used on oily skin types, without causing breakouts. Many moisturizers contain hyaluronic acid, or its derivate sodium hyaluronate, as one of their main hydrating ingredients. 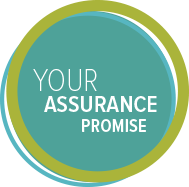 For more product recommendations or answers to any of your skincare questions, contact us today. We’ll be happy to give you all the information you need to keep your skin looking beautiful in every season.